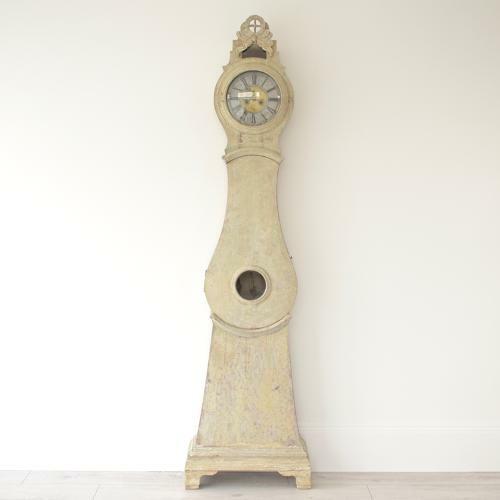 A rare and exquisite Rococo period long case clock dry scraped back to its original paint. Newly serviced. Swedish circa 1770.